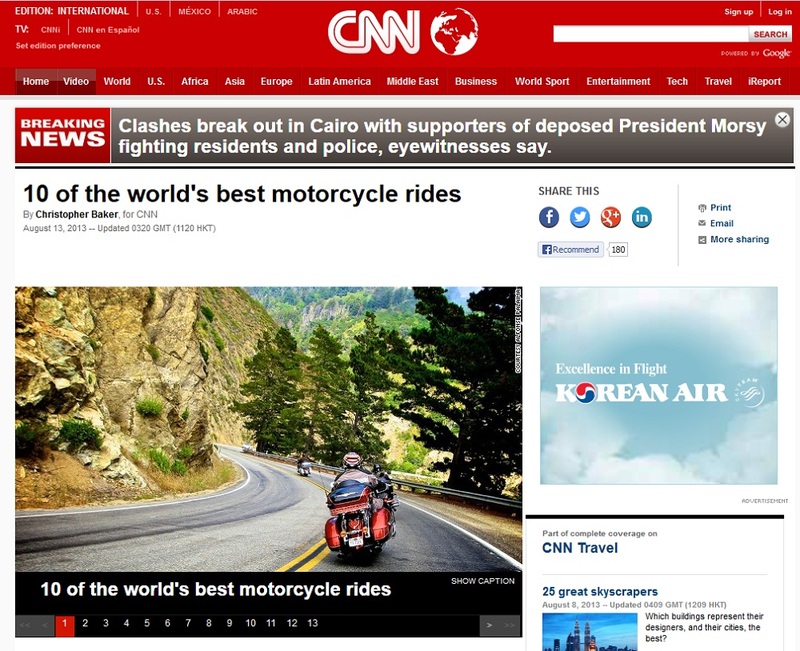 CNN Travel has published my story: “10 of the world’s best motorcycle rides” (August 13, 2013). Saddle up for ten sublime rides (from one day to two weeks) whose scenic beauty and cultural intrigue is spiced by the thrill of twisties and smooth hardtop where motorcyclists can crank open the throttle. Of course, I write about California’s awesome Pacific Coast Highway (which I rode as recently as two weeks ago) and my old stompin’ ground–the Yorkshire Dales, which I used to ride on a 250cc Lambretta scooter! But check out the rides in South Africa… Turkey… Norway… Morocco… the Pyrenees… and, of course, Cuba. Christopher P. Baker, one of the world's most multi-talented and success travel writers and photographers is considered the foremost authority on Cuba travel and culture. Winner of the Lowell Thomas Award 2008 as 'Travel Journalist of the Year,' he has authored more than 30 books, leads tours for National Geographic Expeditions and other companies, and is a Getty Images and National Geographic contributing photographer.